The wait for the biggest case involving Affirmative Action in recent years is now over. Sort of. The case for which most people have been watching the United States Supreme Court, Fisher v. University of Texas at Austin, got a decision today. But it is not the decision most were expecting. It did not decide the constitutionality of the university’s’ limited affirmative action plan as many thought it would. But to understand what happened, you’ve gotta know the facts. The details about young Abigail Fisher and her case and arguments can be found here. Abigail Fisher, in all her glory. What I’d like to do is go step-by-step so that we can get a grasp on what many have said is such a monumental punt by the High Court that no one saw it coming. We will begin with the actual ruling. The Supreme Court of the United States vacated the ruling of Court of Appeals for Fifth Circuit and remanded the case back to that Court. What does this mean, you say? Well, in plain English, today the Supreme Court decided that because the Fifth Circuit failed to analyze the issue presented before it under the correct standard, it must do so again. This it must do under the standard articulated by the Supreme Court in the opinion it issued here. Now, let’s first get into some legal terms, and a bit of the previous cases on this issue that the Supreme Court, and any other court in the land, must look to for the applicable legal standards. Strict Scrutiny: The standard applies to suspect classifications (such as race) in equal-protection analysis. Under this test, the state actor must establish that it has a compelling interest that justifies and necessitates the law or practice in question. Once it has a compelling interest, only a narrowly-tailored plan or policy may be used to pursue the compelling interest. This will be important because it is the central legal test in this case. The Bakke case stands for the proposition that when a public University uses race in its admissions policies, it must be in line with the Equal Protection Clause of the 14th Amendment to the United States Constitution. This case involved the University of California attempting to get more minority diversity in its medical school. What it did there to achieve this goal, was to have a quota for minority applicants. No matter what, there were a certain number of seats set side for these candidates. The Court ruled that this practice was impermissible, but it also ruled that diversity in higher education was a compelling state interest. To be more specific here, in the Bakke case, the Supreme Court said that the educational benefits that flow from a diverse student body are a compelling interest. So to be clear, this is a compelling interest. 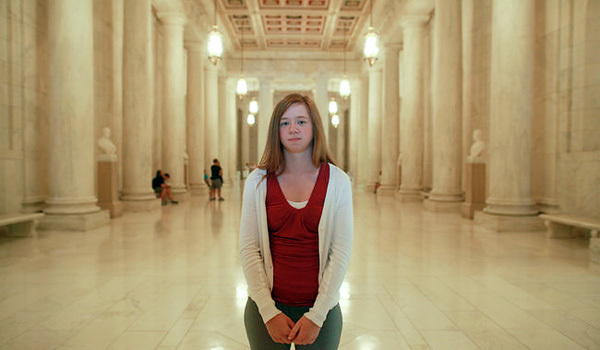 Abigail Fisher does not dispute this, and today the Supreme Court reaffirmed that this was the interest that the University of Texas was pursuing. The Court’s again reaffirmed that pursuing diversity is a decision stemming from the First Amendment to which the Court must defer. The Court recognizes that universities are the experts in educating students. Not the courts. And notably, not Abigail Fisher. This is where the Supreme Court said the lower court went wrong. Here, the Supreme Court made clear that it is up to the courts, in their expertise, to decide if the means employed to pursue a compelling interest are narrowly tailored. A school is given no deference here. A court cannot and should not take a school’s word that the policy is narrowly-tailored. What, you may ask, does a narrowly-tailored plan look like? In short, no one knows. At the very least what Michigan had at play in the Grutter case was a narrowly-tailored plan, one that used race as only one small factor in a holistic examination of the applicant. 1) The means used must be necessary for a university to achieve the educational benefits derived from diversity. 2) Whether the means used are necessary in the sense meant by the court, involves whether the University could achieve sufficient diversity without using racial classification. 3) Narrow tailoring does not require a university to exhaust all other available policies. The reason why the case was sent back to the lower court was because the Supreme Court said the lower court fumbled on the narrow tailoring aspect of its analysis. It stated that the lower Court asked whether the University made its decision to use race in good faith. The Supreme Court today said that was the wrong question to ask. By making the standard abundantly clear, the Supreme Court is compelling the lower court to do a searching examination of whether the policy of the University is narrow. On remand, the Fifth Circuit must conduct this narrow-tailoring analysis. What will be interesting to watch is how the lower court will interpret the extensive research the University conducted before it implemented its complex policy that took account of race. Whether Abigail Fisher would have gotten into the University had she not been White is beside the point. It’s not the question at issue. Her brief attempts to make this point, but it misses the mark. The Fifth Circuit gets another chance to look at the policy at play at the University of Texas and it must consider race-neutral alternatives. The top ten percent plan the university already had in place did in fact increase minority enrollment. But that plan only worked because many Texas high schools are mostly one race. Thus in many ways, that plan is just a proxy for race and one that works a lot more effectively than the complex formula that used race as a factor of a factor of a factor. We’ve got to wait for another decision of the Fifth Circuit, and then the inevitable appeal of whatever that decision is. We here at 40 acres will be around to cover it.